Welcome to our weekly Wow party. I hope your week is going well. I am a little under the weather with a summer cold. I am never sick so this just needs to go away already. I need to get back to my daily walk that I have missed for a week. Oh, enough with my whining. Let's see some great inspiration from last week. TazasyCuentos (cups and stories) shares her bright vintage style kitchen. I love the island that was a counter in a store for many years. If you ever buy a piece of furniture with any missing claw feet there is hope. 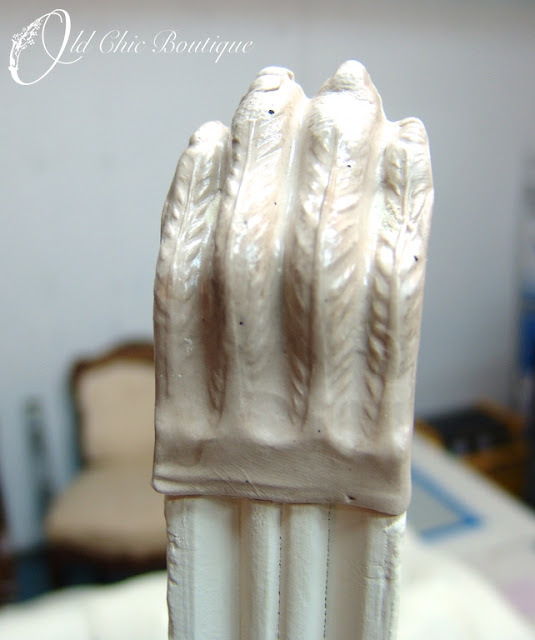 Check out how Old Chic Boutique found a way to create one for a table with the missing part. See how these dumpster dive pieces were refinished and married into one great storage piece by Meredith and Gwyneth, the New Yorkie. If you can't find a good deodorant over the counter then why not just make your own like Angelina did at Shop Ruby Jean. 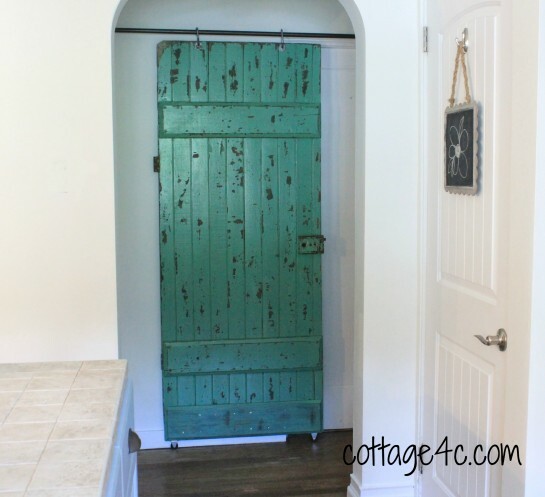 Great color and chippy look to this wonderful sliding barn style door added by Cottage 4C. 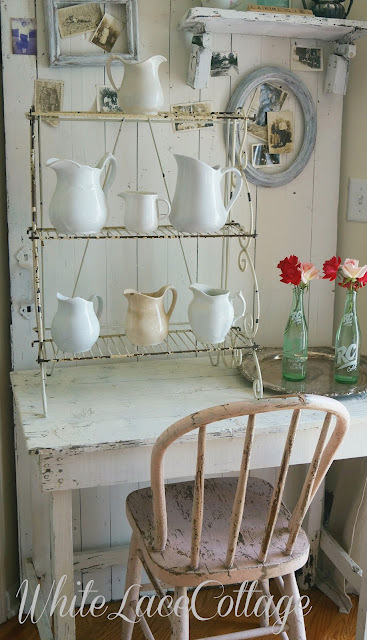 Wonderful vignette created with this cute chippy pink chair and all that ironstone shared by White Lace Cottage. Posed Perfection shares this wonderful chicken soup recipe that she made for her husband while he was down with a summer cold. Mr. Savvy, I sure wish you could make this for me. Oh, yea, you don't cook. Darn. Thanks to everyone who joined the party last week with a link back. Still have a few leaving that out. Just remember if there is no link you will not be featured. For those who were featured you can grab a "featured" button from my sidebar. The top three most viewed links were shared this morning if you missed them. I hope everyone in hurricane Isaac's path stays safe. Now we want to see your "wows" this week. Would love to have you follow me on FACEBOOK. Great Features! I am curious about the home made deodorant. Thanks for hosting such a fun party Kim! Hey Kim- sorry to hear your under the weather. Sometimes that summer colds are the worse, I guess cause we just don't expect that when temps are 90 degrees. Lovely features! Thanks for hosting, Kim! So sorry you have a yucky cold. Feel better soon. Yeah - that chicken soup sure looks like it would cure what's ailing you! Off to check out the great features. Thank you for hosting! Thanks so much for hosting such a great party - love all the features! Sorry to hear you are under the weather Kim. Hope you feel better soon. Thanks for having the party! Kim, hope you feel better soon! Thanks so much for hosting each week! Wish I had some of that chicken soup tonight! I am headed to beddybye will be back in the morning to visit...hopefully. Time for a little rest. Hope you feel better Kim!! I fell in LOVE with that kitchen too. Wonderful features, and thanks so much for hosting each week!! Feel better soon Kim, there's nothing worse than a summer cold. Great features, thanks for hosting. Thanks for hosting Kim. Hope you feel better soon. Thank you so much for the feature and for the hosting. Chicken soup, chippy paint, dumpster dives, green barn doors! Love it all, as usual! Sorry you are under the weather. Colds are never fun, especially this time of the year. Thanks so much for hosting Kim! Feel better! Get well soon, Kim. Thanks for hosting. Kim...thanks so much for hosting this every so great party!! !..Great features...loved them all...Hope you feel better!!! Aww, hope you feel better soon, love that sliding door...going to check out the fun party! Great features. Thanks for hosting the party! It looks like it's going to be a good one! Thanx for hosting Kim! Lovely features! Thank you for the party, Kim! I love Meredith's updated dresser and that turqoise barn door is awesome!! How sweet that you thought of us while you are not feeling well. I'm loving each and every feature and appreciate seeing them all in one place. Take care Kim! Another great link party! I have to remember to come here only when I have about 3 hours to visit all of the blogs! There are some beautiful links today! Kim. Great features this week. Thank you for hosting. Hope you are feeling better. I've been here a while visiting links. Some great new blogs and some talented girls! Thanks for hosting. You have been my top referral for several weeks now. I appreciate the time it takes...by the way did the fabric get mailed? Really great feature stories! Thanks so much for hosting! that soup looks delicious! i'm going to have to try it! i hope you feel better soon ... my hubby came home from work with a sore throat ... i'm hoping it's just his allergies although they can be as bad as a cold if not worse sometimes! WOW- those are some AWESOME features! Great picks! Thanks so much for hosting, Kim! PS Sending Get Well prayers up for you! Oh, great features! Love that kitchen! Thanks for hosting! Thanks for hosting this week - I hope that you feel better soon! 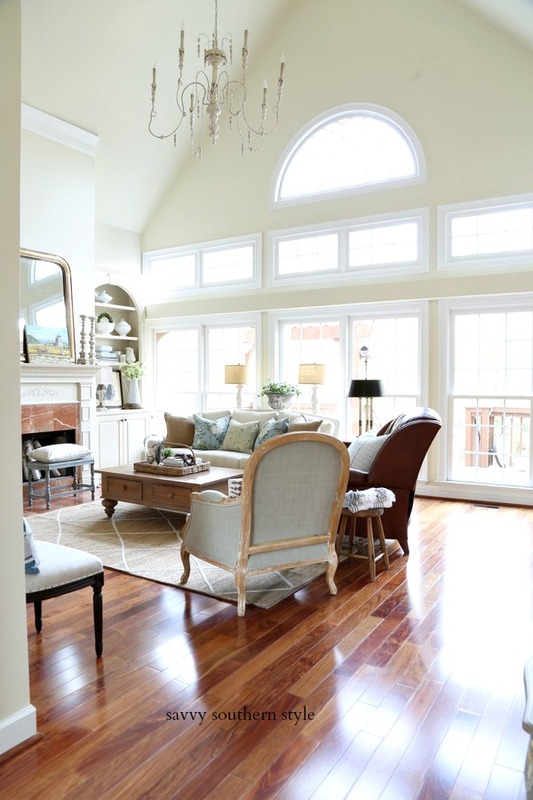 btw - every time I scroll through your blog and see your beautiful living room on the sidebar, I can't help but smile! Perfection! Yum, that soup does look SO good, hope you're feeling better soon, Kim! Thanks for hosting!! Looking forward to going through some links. Have a great week. Summer colds are the worst and if it was as hot and humid there as it was in AL today, that certainly didn't help! Thanks for hosting WUW and feel better soon. Thanks so much for hosting this week, even though you're not feeling well. 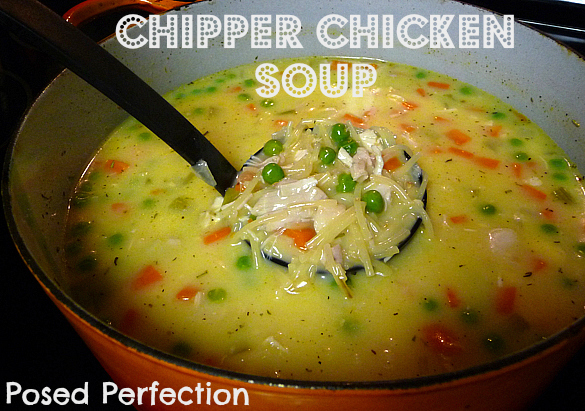 Thank you also for featuring my Chipper Chicken Soup. I am so honored. I wish I could send some to you to help with the cold. Feel better soon! I hope you get to feeling better soon. I had one of those as well this summer. No fun at all! Thank you for hosting. Love all of the features as always! Hello Kim! Oh! You can't imagine how excited I am! Featured in your blog!!! Of course I have grabbed your button, my first one! I am very happy and enjoyed a lot your parties and your posts every day. Besos from Argentina and feel better soon! Thanks for hosting! Hope you feel better!!! The vintage kitchen with the island? I die! I swoon! Thanks for hosting! This is my first time linking up here, glad to have found you :) Hope you feel better soon! Dear Kim, just like the Velveteen Rabbit you are very real to me. Thank you for sharing such lovely images and hosting a wonderful party. Thanks so much for hosting, Kim!! Loving that barn door with the chippy paint...way cool! Thank you for hosting, I am off to visit the other guests! Thanks for hosting. I always love visiting your site. Have a great week. Thank you for lots of inspiration today. 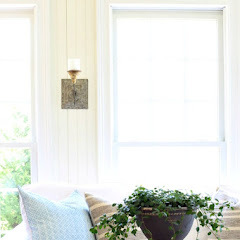 I have linked up my "Blue and White Inspiration". Hi Kim: Sorry to hear you have a summer cold. Hope you are feeling much better by the time you read this. I thank you for hosting the party today--I appreciate it, especially if you are not feeling well. Take care! Thank you for hosting our party. I hope you will stop by and see my gazebo. Feel better soon! Love all your features, as always ! Hope you are feeling better soon. School just started and we've already had many missing kids because of illness. Thanks for hosting! Summer colds are *not* fun ... I hope you feel better soon! Thanks so much for hosting! Hey Kim, if I was your neighbor, I would make you some chicken soup! These are great features. Love the kitchen and love that barn door! Thanks for hosting. Hi Kim, Great features this week and as always a great party. Sorry I had to miss it. Thanks for hosting. Kim, thank you for hosting this wonderful party! Those summer colds are the worst! I hope you get to feeling better soon! 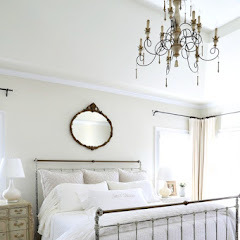 Thanks for hosting ~ love the sliding barn door featured this week! Thanks for hosting, Kim. I hope you feel better soon. Ever tried echinacea? Seems to work for me if I start feeling like I'm getting a cold, or around someone who has one. 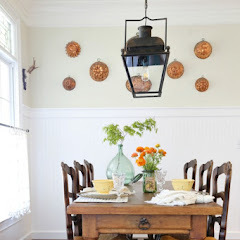 Thank you so much for featuring my kitchen farm table vignette! What a treat! Today is my birthday this was such a nice surprise!And thank you for hosting! Note to Mr. Savvy...... you can make that. Do it, and when you do you will have a star post from your wife, so put the camera on the counter as you cook. I'm happy to be linking again this week, thanks so much for hosting! Hope you are feeling better soon, Kim! You give a great party even when you're sick! Put your feet up, girl! 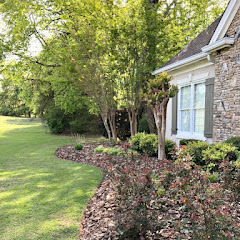 Kim, I just barely got my post ready in time to share it at Wow Us Wednesday, but I really wanted to link up with you. I finally finished a bonus room re-do. The room is still a teenager hang-out, but I finally got around to adding some decor and I'm thrilled with what I was able to do on a very small budget. Thanks for hosting this party so we can all share our projects! What a blast of a party! I am WOWED! Thanks Kim! Hope you feel perky soon! Love all the features! Thanks for throwing a fun party! Thanks so much for hosting Kim. Feel better soon! I hope you are feeling better! Thank you for hosting this fun party. Oh goodness, I hope you're better soon sweet lady. Lovely features today. Thank you for osting yet, another great party. Sorry you're not well!! Seeing almost 400 clever people entering your link party has got to make you feel a little bit better!! That kitchen photo is charm central.. looks like the cover of a magazine! That kitchen is stunning.. sigh.. i can but dream! Great features! Thanks for the party Kim! 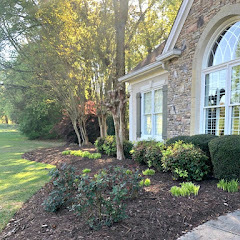 Thanks for hosting all these wonderful projects, Kim! Each one is so inspiring. I hope you feel better soon and will enjoy the holiday weekend. Kim! 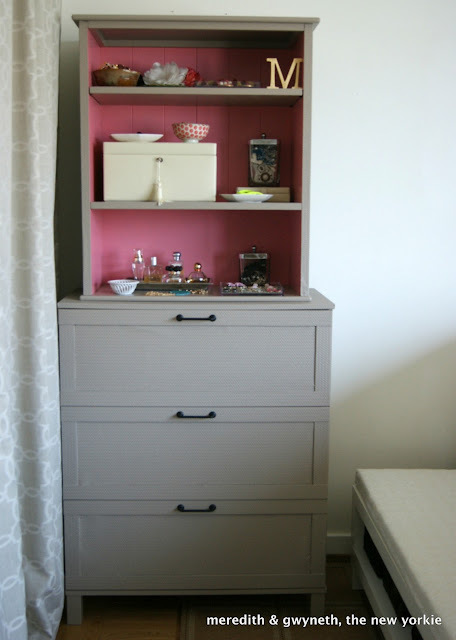 Thank you so much for featuring our Dumpster Dive Dresser! Gwynnie and I hope you feel better soon!